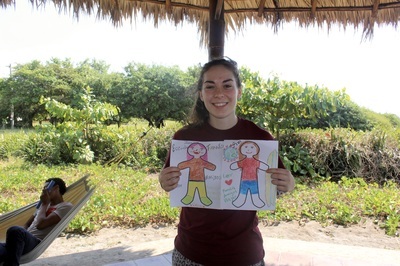 ​One impactful activity we did was expressing “who we are” and “what we think we are” through a self-portrait. The objective of this activity had a deep purpose. On the surface we asked everyone to color in and draw how they viewed themselves. This lead to questions such as Do I have light or dark brown hair? Should I be wearing jeans or black pants? What color should my shirt be? You soon realized that while yes, appearance can be important and how we view ourselves in this way does hold substance, there is a lot more to "us" than the color of our hair or what type of pants we typically wear. We asked that everyone go deeper than what is on the outside. We challenged everyone to write on their paper what meant the most to them. Not what was only on the outside of their body but what filled the inside of their body? Was it faith? Family? Love? Pizza? Favorite vacation spot? The country they’re from? A dream? ​When we had all finished drawing what we considered ourselves to be, we hung up our self-portraits. There was an excitement and a clear buzz of energy circling the Rancho as each of us taped our pictures to the wall. 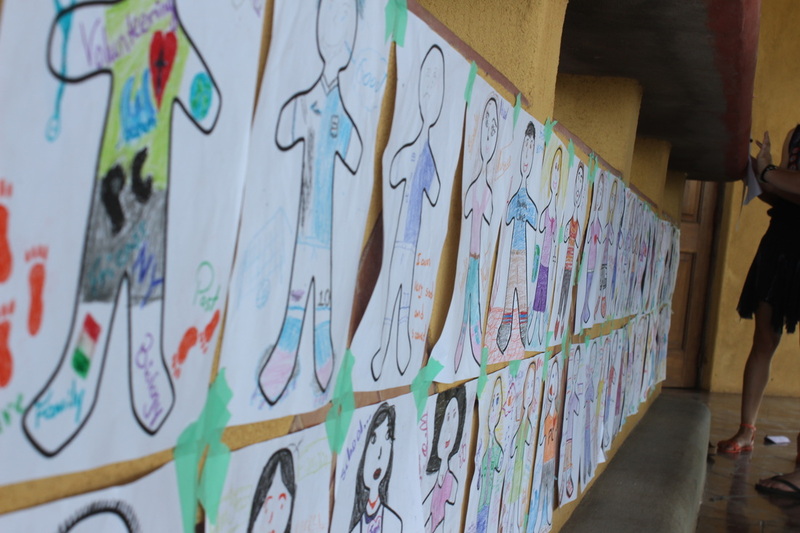 Hanging up for all to see, each student and facilitator came up and shared their portrait. With pride, we all came up and told each other the little things that all add up to the big thing: us. 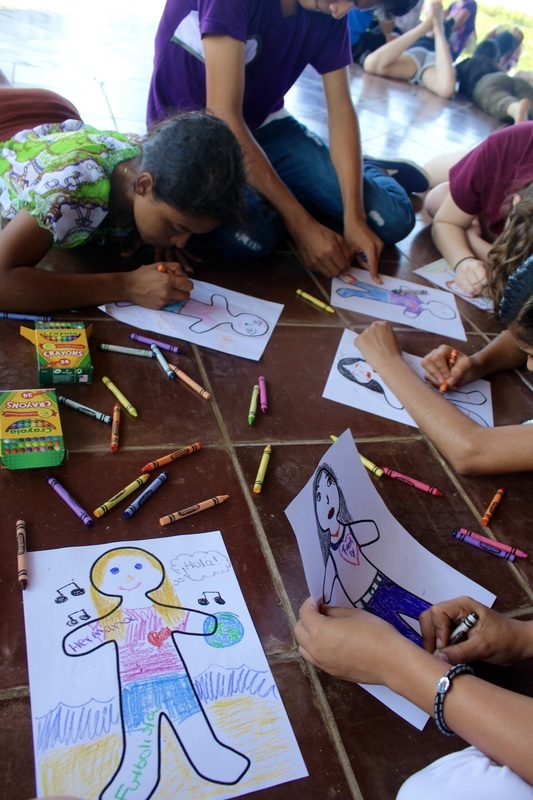 What was incredible was that we all learned so much about each other but by doing the activity everyone was able to see themselves in a different light as well.